For a simple and effective detox drink 4-6 cups of hot water (filtered or mineral) when thirsty throughout the day! 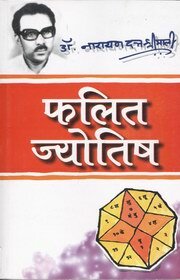 I have excellent understanding of Bhartiy Jyotish, and read this book also. There are many interesting things which make you read the book over-again. So, I am very thankful to God and Narayan Ji who have brought the unique books in existence for us. If we want to keep our life safe and peaceful with continuous growth, we must read these books. Hi everybody, I have excellent understanding of Bhartiy Jyo ..